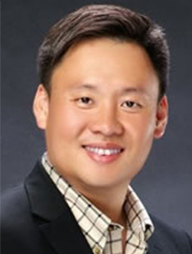 As an authorized Coaching Trainer (1st in Greater China Region) of International Coaching Community, Mr. Samuel Lau is also the founder and Chief Executive Officer of New Life Plus Training Consultants Ltd(NLPTCL), and the founder and President of International Institute of Professional NLP(IIPNLP). Mr. Samuel Lau is the world’s first and only Authorized Co-operative trainer in the Samuel Lau/Dilts-NLPU Co-operative Master Practitioner Certificate Project of the world renowned NLP institution, NLP University of U.S.A. He is authorized to organize the Master Practitioner Certificate Program in Chinese version, using authorized Chinese training materials in the Greater China Region. Having been granted this highest honor in the NLP field, Mr. Samuel Lau has proved himself as a trainer who holds the same beliefs and values in training with those of NLPU, and has earned absolute trust from NLPU. Samuel has nearly 30 years’ experience in training, of which over 20 years involved in NLP. Samuel has applied his professional knowledge in NLP extensively in his trainings. For many years, he has provided various NLP-based trainings to different listed companies, international corporations, civil service departments and professional institutes in Hong Kong and mainland China, and has achieved notable results in resolving problems of various enterprises and organizations. He has also conducted training courses in many universities in Hong Kong including University of Hong Kong, the Hong Kong Polytechnic University, Hong Kong City University etc. He has been invited to Tsinghua University in Beijing to conduct a course for the corporate CEOs. Moreover, Samuel has been invited as trainer and speakers to many places over the world such as Holland, Korea, Beijing and Shanghai etc. Over the years, Samuel has designed and delivered NLP-related or NLP specific training programs over a wide range of topics and subjects including executive management skills, communication and negotiation skills, leadership, quality customer service, team culture building, selling skills, presentation skills, business coaching and management, creative thinking, learning organizations, change management, and Train the Trainer, etc. Since 2006, Samuel has been invited by Hong Kong Productivity Council to or-organize his uniquely designed “BusinessNLP Practitioner Certificate and BusinessNLP Coach Accreditation Program”. The program has received high popularity by the public and has been held for 30 times as of 2016. Samuel is also a certified clinical hypnotherapist of American Council of Hypnotist Examiner. Hypnotherapy is a newly developed tool in the area of brain potential discovery and behavior changing. Samuel has successfully applied elements of hypnotherapy in this training for effective performance enhancement. Apart from being a trainer, a clinical hypnotherapist, Samuel is also an author and a columnist for Recruit and Headline, 2 Hong Kong newspapers.